Our newest category – Development Hell – is a funny way to share our ideas for movies, tv shows, etc that will never be made. 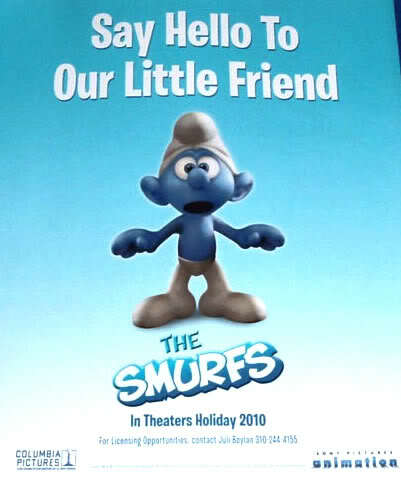 Ridiculously though, a 3D Smurfs movie is getting made (and just in time for the holidays!!). Yes, this is the world we live in. I asked all our RC contributors to let me know what they would do with a Smurfs movie if they were in charge. Their ideas (with visual accompaniments) will be posted throughout the week. Just a heads up so you know what’s going on.